Social learning… tonight, next week, and in November…..
Tonight is our monthly social (6pm onwards). The venue — appropriately called “The Library” — is a new one for us. And it does sound interesting. A review of it on TimeOut Singapore says you need a password to swing the bookshelves open — to reveal a dimly lit bar with playful cocktails! I can’t attend, but look forward to hearing how it is. Next Thursday there’s another opportunity for us to get together — in a bigger group — for digital learning at the Teach-Meet, Thursday, Oct. 9th at Zsofi Tapas Bar, 68 Dunlop Street (Little India) — 5:30 to 8:00 pm. Go to 21c-learning.com/sg-teachmeet/ to register — especially if you want to present. The format is a series of Nano-presentations lasting 2 mins or Micro-presentations lasting 7 mins — by local/international teachers. Next time maybe I’ll get around to signing up to present something. This time I’ll sit back and enjoy. 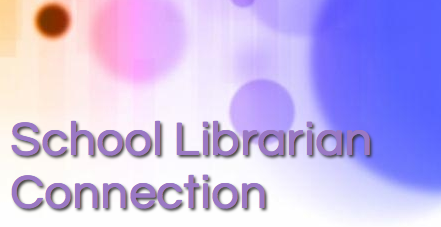 Fri-Sat, November 21-22 is a two-day School Librarian Connection collaborative initiative in Hong Kong, which I’m helping Dianne McKenzie organize. As for the Teach-Meets, you can choose the mode and duration of whatever you want to share, if anything. Mini, macro, nano, or even just a digital post presentation. Click here to see the programme so far. It’s reasonably priced at SGD$130. And less if you only want to attend one day. Previous Post For new members in Singapore…. Next Post Red Dot 2014-2015 – shortlists announced — as well as process changes….